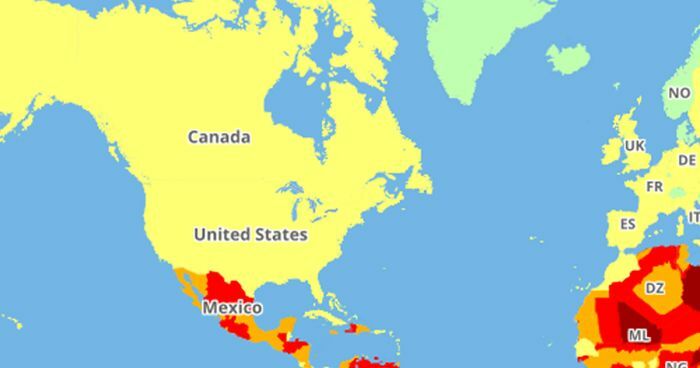 Just like last year, International SOS and Control Risks have released a map that shows just how tourist-friendly all countries are, and it’s worth looking at if you’re planning a trip for 2018 to a place you’ve never been before. After all, we all like coming back from a holiday with all of our limbs and other valuables. Collecting data from the World Health Organization and other institutions, the interactive ‘Travel Risk Map’ reveals just how risky countries are regarding road safety, security and medical matters. According to The Ipsos Mori Business Resilience Trends Watch 2018, 63% of people think travel-related risks have increased during the past year. In the paper, security threats and natural disasters were cited as main reasons for changed travel plans. Scroll down to check out how countries rank up against each other and let us know what you think about it in the comment section below!